I am so glad Fall is finally here. I just love the smell of crispy leaves and raking up all those colorful piles to jump in.....Wait...It is NOT here yet? I must be day dreaming big time because I sure could smell the difference in the air, couldn't you? (We did have a day this week where it was cool and breezy with no humidity. That was a BIG change compared to the rest of the summer we have have had so far.) Well it put me in the mood to create something for Fall and to start on my upcoming class schedule. This will be one of the cards featured in a Fall class. I really liked how it turned out and it uses one of the stamp sets from the upcoming Stampin' Up! 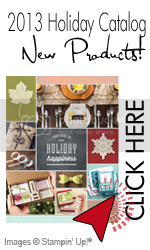 Holiday Catalog that debuts on August 1. Can't wait for you to see all the new goodies and for us to play with them in my classes. This is for the Paper Craft Crew Challenge Sketch 52 and uses the Stamp Set Truly Grateful (wood 131730, clear 131733) and the designer paper "Sweater Weather" (132184). See, I told you I was in the mood for Fall! ;) I used my Stampin' Write markers and a blender pen to color in the wheat and the sentiment is from the new set Six-Sided Sampler (wood 130953, clear 130956) Add some Rhinestone jewels and you are set. You can purchase these items from my store starting August 1. Head over to the PCCCS Blog to see what other awesome designs our design team came up with. Don't forget to play along and upload your creation. Can't wait to see it. Warm Fall hugs. I am just back from convention and not quite awake after going to bed at 3:00 am but wanted to post a few photos just to wet your whistle. First, let me share a photo that our Stampin' Up! CEO and Co-Founder Shelli had on her blog. This picture shows just a "few" of us getting excited about the start of convention. Can you find Waldo? Next, I have just received the "official" bag. LOVE it! One of the best things about convention (there are so many) is meeting up with friends that you have not seen all year. Here is Lois Folla and Patty Bennett at ONE OF THE PARTIES that SU threw for us. Dinner at Buca di Beppo with long distance best stamping friends! Love these guys :) We had the coveted kitchen table. Have I mentioned the great classes and all the GREAT FREE GIVEAWAYS that SU showered on us to celebrate their 25th anniversary? I cannot post pictures of the stampsets as they are from the upcoming Holiday Catalog but just let me say that SU was VERY generous. Thank you Stampin' Up!